Abstract: There's a new display technology on the block, and its optical properties are a lot more like print on paper than the backlit LCD displays in your TV or computer screen. The use of electrophoretic display technology is growing and can be widely seen today in electronic readers. In fact, Amazon just disclosed that for the first time, electronic books are outselling hardcover paper books from their website. And yet the technology is still in its technical infancy with non e-book applications increasing and full color and flexible displays on the horizon. The origins and characteristics of electrophoretic displays will be discussed, the technical roadmap for future advancements presented, and multiple product applications including those for flexible displays will be shown. Biography: Michael McCreary is the Vice President of Research and Advanced Development of E Ink Corporation where his responsibilities include the creation of advanced technologies that is enabling a new generation of flexible, ultra-low power, daylight-readable displays. 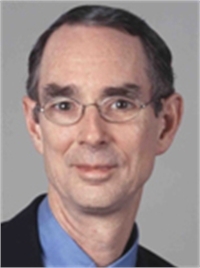 Dr. McCreary is a 37-year veteran of the imaging industry. He previously held a number of leadership positions with the Eastman Kodak Company including General Manager of Kodak's Microelectronics Technology Division, a semiconductor business unit that developed high performance solid state image sensors. Dr. McCreary also serves on the Board of Directors of FlexTech Alliance and has served as a board member of the ASU Flexible Display Center. He earned a B.S. with Honors in Chemistry from Principia College, a Ph.D. in Physical Organic Chemistry from the Massachusetts Institute of Technology, and additional coursework in solid-state physics from the Rochester Institute of Technology.